It’s Friday! What a week! I will be taking vacation next week, so no updates from Vintage Restyled. While I’m on break, my latest venture will open! Simply Vague is opening on Sunday, July 1 at 11:00am! This store is sure to please. An eclectic mix of food, jewelry, art, stationary and of course furniture. 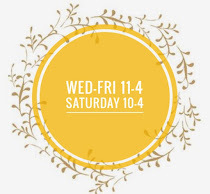 All items are handmade or hand finished by local artisans. There is an amazing amount of local talent featured! My part is complete and stocked and here is what you’ll find. And a few more gems await! 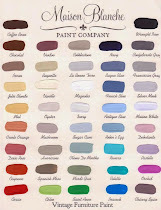 Be sure to shop Simply Vague! There are fabulous restaurants, Whit’s is 2 doors down, a bookstore, antique malls and great shops and boutiques all within walking distance. 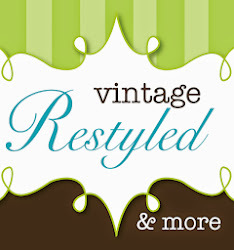 Great changes are taking place at Vintage Restyled at Heritage Square Antique Mall! My friend and partner, Amanda has worked her magic and is sharing her talent in B-10! Be sure to check it out. Pictures will be shared on FB, like us here. All the best with it, all your items look beautiful! Good luck at Simply Vague! I nominated you for a Liebster Award at my Georgie Emerson blog!! Love the furniture and would hope to make a road trip to visit the shop sometime. I am a fellow Ohio blogger and found you from Polly@ Georgie Emerson! I am your newest follower. I just became your 200th follower-yea! I found your thru Polly (I nominated her:) Congrats! I'd love you to stop by and say hello!